How many suicide cylinders did Dr Nitschke sell on his UK tour? This article was written by Dr Peter Saunders and published on his blog under the title: The question that the police have not asked and Nitschke has not answered. 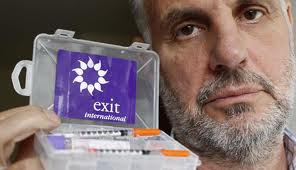 Australia's ‘Dr Death’ Philip Nitschke visited the UK this week and held a ‘workshop’ at Dragon Hall in London providing instruction in how to commit suicide. About 150 people attended. Not understandably the event evoked protests and some publicity. Currently Nitschke is the subject of an inquiry by the Australian Health Practitioners Agency (AHPA) in connection with a company called 'Max Dog Brewing' which he has set up in order to sell nitrogen cylinders via his ‘Exit International’ website to people who wish to end their lives. ‘Max Dog Brewing’ is owned by Northern Analytics Pty Ltd which has ‘Philip Haig Nitschke’ as its sole director. However according to the Newstalk ZB in New Zealand Max Dog Brewing has already sent shipments to both New Zealand and the UK. What will it take, I wonder for the Home Secretary, the police and the Crown Prosecution Service to do something about it? I hope it is not the first barbiturate or nitrogen suicide of someone in the UK making use of his information and equipment. Shocking elder abuse incident leads to investigation into Peterborough Ontario care home. On May 22, 2013; EPC published the story of the horrific elder abuse case of Hellen MacDonald, who was living in a long-term care home in Peterborough Ontario. Her son Camille Parent was upset about the care his mother was receiving and decided to install a hidden camera to uncover what was happening to his mother. “We put the camera there thinking we were going to catch which residents were doing this too her because it needed to stop,” adds Mr. Parent. The video -- which reveals wandering residents entering Ms. MacDonald’s room, a personal support worker putting feces near Ms MacDonald face and aggressively handling Ms MacDonald, and another personal support worker blowing his nose in Ms MacDonald’s bed sheets -- has shocked the community, caused the suspension with pay of two employees and led to an investigation by both Peterborough-Lakefield police and the Ministry of Health and Long-Term Care. “It was just unbelievable,” says Mr. Parent. Mr. Parent hopes the video will result in charges being laid. The original article we published was titled: Elder abuse caught on video, incident is not isolated. 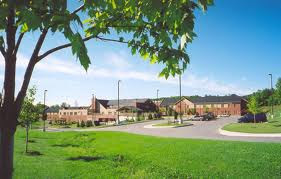 Now the Peterborough Examiner newspaper has reported that admissions to the care home have been suspended by the province after an investigation found multiple violations of the law. Admissions to St. Joseph’s at Fleming have been suspended after a Ministry of Long-Term Care investigation found multiple violations of the provincial Long-Term Care Homes Act including failure to adhere to the infection prevention and control program, failure to protect residents from abuse, and failure to provide residents with three meals a day. The investigation was launched after a video camera hidden by Camille Parent in his mother’s room in April recorded abusive treatment of the 85-year-old Alzheimer’s patient by St. Joseph's staff. Four staff members were fired as a result. According to ministry documents obtained by The Examiner, St. Joseph’s has been given until Sunday to comply with a number of orders issued by the ministry. The investigation also found that some residents are not served three meals daily. “The four staff members working on the … unit were interviewed about (the resident’s) breakfast status and were not able to confirm if the resident had been offered a breakfast,” the documents state. In an email to The Examiner Thursday night, Sheamus Murphy, director of communications for Health Minister Deb Matthews, confirmed the suspension of admissions. The ministry, he said, issued a “cease of admissions order for St. Joseph's at Fleming … due to resident care concerns. This is one of a number of steps that can be taken to further ensure resident care and safety while the home works to address areas of non-compliance identified during recent inspections. On Tuesday, the Catholic Health Corporation of Ontario (CHCO) restructured the St. Joseph’s board of directors, bringing in five new members, including the new chairman, who sit on the board of Providence Care in Kingston, a long-term-care facility that is also overseen by the CHCO. It is important to state that this is not an isolated incident. CTV news reported on the case with an article titled: Nursing home abuse incident not isolated. CTV reported on the recent settlement of the largest class action lawsuit in Quebec and it concerned elder abuse. 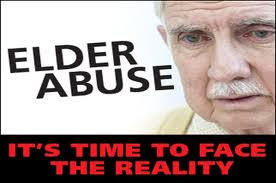 The Euthanasia Prevention Coalition recognizes the scourge of elder abuse as a sign of a societal attitude that dehumanizes vulnerable citizens, especially those who are unable to defend or speak for themselves. We also lament the fact that similar abuse occurs in care homes for people with disabilities. A society that has devalued the lives of seniors, people with disabilities and other vulnerable people to the point that abuse can occur without detection and basic protections for people who are supposedly receiving care are not in place, must not even consider legalizing euthanasia or assisted suicide. Elder abuse and abuse of vulnerable persons proves that any supposed "safeguards" will be ignored and abused in many circumstances leading to many deaths without request, as is happening in Belgium. For more information go to: Physician-Assisted Suicide is a recipe for elder abuse. 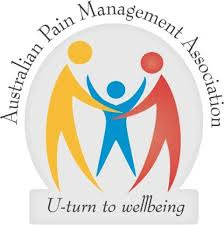 The following article was written by Paul Russell, the leader of HOPE Australia, and published on the HOPE Australia blog on June 26, 2013 under the title: It's not about pain. Once euthanasia advocacy was mostly about people's pain at the end-of-life. Pain is really not the issue any longer, if it really ever was. Palliative medicine has developed, in recent years to a point where virtually all pain can be dealt with. If any concern remains here, it's really more about ensuring that everyone has access to high quality services. Belgium euthanasia doctors are getting burned out. This article was written by Michael Cook and published on June 27 BioEdge under the title: First-world problems 2: I'm really not into the whole turbo euthanasia thing. Why the Quebec government must reject Bill 52, the euthanasia bill. The following article was published in the Montreal Gazette on June 25 under the title: Why Bill 52 should not become law. MONTREAL — Bill 52, which the Marois government is calling “an act respecting end-of-life care” designed to support the “right to die with dignity,” includes a component aimed at decriminalizing and legalizing certain forms of active euthanasia. As a means to confuse the population, euthanasia is presented under the neologism “medical aid in dying” and disguised as “end-of-life care.” However, the government’s terminology is not based on any semantic recognition in known medical literature, or in our country’s case law. In addition, Bill 52 introduces the concept of “terminal palliative sedation,” a concept not defined in the bill, and one that causes a lot of confusion. Inasmuch as the goal of such sedation is to cause death, and not to relieve pain, it is also another form of euthanasia. It therefore appears clear that the bill essentially aims, using this newly invented terminology, to eliminate a prohibition — which goes back 24 centuries — on a physician voluntarily ending a patient’s life. Furthermore, Bill 52 is contrary to principles expressed in the Canadian and Quebec charters of rights and freedoms. The worth or dignity of a person does not diminish because of his or her age, state or capacity. The justifications invoked by the minister responsible for Bill 52 in support of “medical aid in dying” relate to the need for a humanistic and compassionate approach, implying that rejection of euthanasia would be a sign of a lack of compassion on the part of medical staff. Such an affirmation, false and otherwise improper, undermines the recognition of all those who provide care, with humanity and dedication, to suffering patients in Quebec, and who believe that medical staff should not offer euthanasia to end-of-life patients, or cause their death. Nobody has the right to challenge the compassion and humanity of these health professionals, either in Quebec or anywhere else in the world. Furthermore, the government refuses to consider issues that will undoubtedly be raised by the implementation of such legislation. It minimizes the warnings of numerous medical experts regarding the harm that could come to people in a state of physical or mental vulnerability, especially people who have impaired judgment or are suffering from depression. The government also chooses to ignore the warnings against potential abuses. In order to obtain medical aid in dying, a person will have to satisfy certain conditions specified in Sections 26 and following of the bill. But these conditions do not apply to terminal palliative sedation. And the conditions are essentially the same as those adopted in Belgium, a country that allows medically assisted death. There is a significant body of international scientific literature demonstrating the ineffectiveness of safeguards imposed in Belgium and in the Netherlands, another country that permits assisted dying. Allowing medical aid in dying opens the door to unavoidable abuse. Society cannot tolerate a single case of abuse when a human life depends on it. By introducing Bill 52, the government is ignoring the separation of powers between the federal government and the provinces, and overlooks the fact that active euthanasia, both in the form of medical aid in dying or terminal palliative sedation with the intent of causing death, constitutes homicide and is already considered to be a criminal act under the Criminal Code of Canada. Killing is not care. Killing has nothing to do with the health-care system. Quebec therefore has no jurisdiction to decriminalize euthanasia. 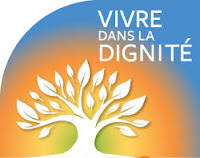 Consequently, we are urging Quebec’s elected officials, more specifically those sitting with the opposition parties in the National Assembly, who share a responsibility for protecting the population, to vote against legalizing euthanasia as provided in this bill. 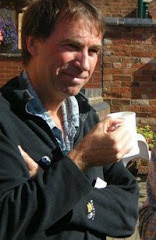 Marc Beauchamp is a founding member of and spokesperson for Physicians’ Alliance for Total Refusal of Euthanasia. 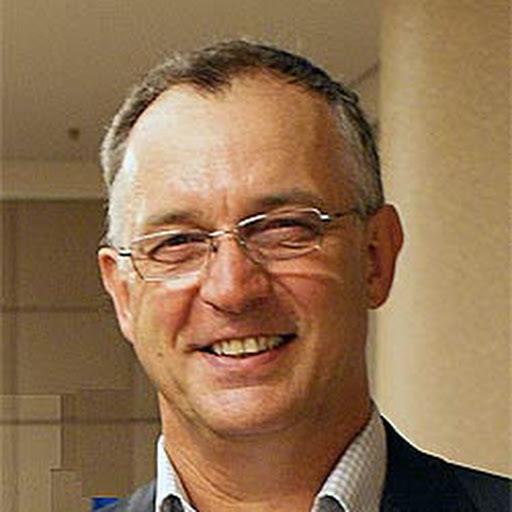 Michel Racicot is a retired lawyer and member of the board of directors of the Living With Dignity Citizens’ Network. This article is written by Michael Cook and originally printed on June 27, 2013 by BioEdge. 8. Euthanasia Poll: What do the people of Quebec really want – November 22, 2010. 10. Bill to outlaw euthanasia by dehydration passed by Italy’s lower house – July 13, 2011. 11. Oregon Suicide rate soars after legalizing assisted suicide - September 12, 2010. 13. 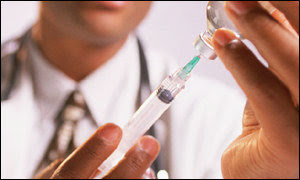 BC Court case seeks to legalize euthanasia and assisted suicide - November 12, 2011. 14. 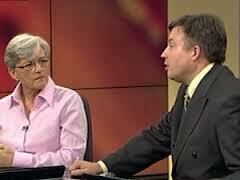 Elder abuse caught on video, incident is not isolated - May 22, 2013. 17. Euthanasia PreventionCoalition to intervene in BC Court case that threatens to legalize euthanasia and assisted suicide in Canada - April 29, 2011. 18. Mobile euthanasia unitsstarted in the Netherlands today. – March 1, 2012. 19. CARP asks federal government to add the offense of elder abuse to the criminal code - March 1, 2011. 20. 5 reasons why people devaluethe elderly – May 25, 2010. This list is based on the most read blog articles as of June 25, 2013. Older articles are more prevalent on this list simply because of the number of people who continue to access articles for the purpose of research. 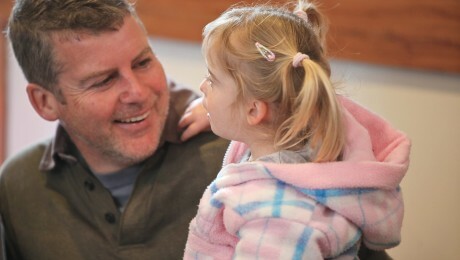 New Zealand Down Syndrome community opposes euthanasia. Maryan Street in New Zealand. New Zealand Labour Party MP Maryan Street has a private members bill for euthanasia sitting in the ballot box in Parliament. If this bill is drawn and subsequently made law, it paves the way for the un-consented killing of people with Down syndrome in New Zealand. Such a situation is entirely unacceptable and will be opposed in the strongest terms. If this concept sounds far fetched, just look at the draft bill. (ii) an irreversible physical or mental medical condition that, in the person’s view, renders his or her life unbearable. No problem there then? – We all know that Down syndrome is an irreversible physical or mental medical condition, but they have pretty good lives so they wouldn’t meet the threshold of having a “life unbearable”. And anyway, you might say, to qualify for medically assisted dying you have to be mentally competent, so there is no risk of abuse of those accidentally consenting to euthanasia. But, as we will see, those decisions don’t necessarily lie with the person concerned. (1) A qualifying person to whom section 6(1) applies may request medical assistance to end his or her life. (c) confirmed in writing by the applicant no sooner than 7 days after it is signed by the applicant under paragraph (b). (b) may indicate a request or confirmation by other means, and that request or confirmation may be recorded in writing by another person. (4) No request or confirmation made under subsection (3) is valid unless the certifying medical practitioner certifies that he or she believes that the written record of the request or confirmation properly records the wishes of the applicant. (5) No family member or friend of the applicant can annul the applicant’s request. Read that clause very carefully. A written request only requires the marking of an X by anyone and it is valid provided that it is certified by a certifying medical practitioner. Clause 9 goes on to require a certifying medical practitioner to provide a certificate that the request complies with the law (i.e. that the request is genuine and without coercion, their patent wants to be killed, that they are mentally competent and that they have one of the qualifying conditions). Clause 10 requires a second medical practitioner to make an independent certification. Once the certificates are made the doctor is free to kill their patient. Sounds watertight then? So, provided there is a written request marked with an X by anyone and there are two medical practitioners who have signed a certificate that the law has been complied with, a doctor can kill their patient. There are many good doctors who support our community and are committed to protecting life. But, they won’t be the certifying medical practitioners. Let’s be clear here. A certifying medical practitioner is by definition a supporter of euthanasia. Add in a negative bias many Doctors have towards those with Down syndrome and we have a toxic mix, the possibility of a legal pathway to the killing of people with Down syndrome, effectively with impunity. Maybe we would give all doctors the benefit of the doubt that they will comply with the law. But, we can recognise the negative bias many of them have towards our community. The type of bias where at Waikato and Auckland Hospitals they encourage late term abortions for planned and wanted pregnancies when there is a diagnosis of Down syndrome or Spina Bifida. Maybe some of these pro-euthanasia “certifying medical practitioners” think people with Down syndrome are a burden, some type of disadvantage (as described by bio-ethicists at Otago University), a life unworthy of life. We have heard it all before. 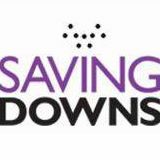 Maybe an adult with Down syndrome is poorly in hospital and they are taking up resources that a “normal” person would better benefit from. Does this sound farfetched? Surely there would be measures to stop abuse? Well, no there isn’t. Sure, there is provision for a review body. There isn’t much to review if the written request has the X marked and the victim is dead and can’t testify that they didn’t consent to their killing. It’s the word of the two pro-euthanasia certifying medical practitioners against the word of a dead person. (1) A person commits an offence who forges, conceals, destroys, or otherwise alters or frustrates the expressed wishes of a terminally ill person, or a mentally incompetent person who has a registered End of Life Directive, or any person who chooses to end his or her life in a manner that fulfils the requirements of this Act. (2) A person who commits an offence under subsection (1) is liable on summary conviction to a term of imprisonment not exceeding 3 months or a fine not exceeding $10,000, or both. So, if a certifying medical practitioner decides to kill a person with Down syndrome, the penalty is a $10K fine (maybe) and 3 months in prison (maybe). That’s if the dead person can prove it. That’s pretty much impunity. Maybe the police could pursue a murder charge, but is hard to see how the evidence could be proven. · • Anyone completes a written request saying said person has an irreversible physical or mental medical condition that, in the person’s view, renders his or her life unbearable. · • Anyone marks the written request with an X. 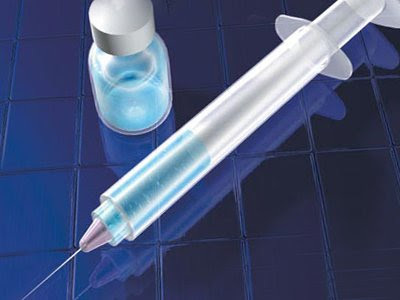 · • Two pro-euthanasia certifying medical practitioners complete the certification saying that the request is legal and they have followed the due legal procedure. · • The person is killed without giving consent. The penalty if they are caught is a fine of up to $10,000 and up to 3 months in prison. To prove that the certifying medical practitioners acted against the wishes of the person they have killed would likely require testimony from the dead person. In reality, there is no way a euthanasia bill can ensure that this type of abuse won’t occur. Needless to say, Saving Downs will be opposing this bill if it is drawn from the ballot. Any law that creates a pathway for the un-consented killing of people with Down syndrome is entirely unacceptable. That is a bottom line. It’s not negotiable.